Mr. Ravichandran Tharumalingam (left) conquers 5,109m Margherita peak of Mt. 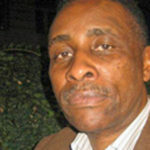 Rwenzori. Renowned Malaysian mountain climber Ravichadran Tharumalingam has said climbing Mt Rwenzori in western Uganda offers the best experience to climbers than what Mt Kilimanjaro or Mt Kenya can offer even if the latter two have greater heights above the sea level. “Everybody from where I came from was saying that Rwenzori can’t be better than Mt Kenya or Kilimanjaro but I can say it is ten times better because it has tropical environment at the bottom and glaciers and dangers at the top. In Kilimanjaro, you don’t have those. You only have altitude, same as Kenya,” said Tharumalingam after reaching the 5,109m Margherita peak. Mt Kilimanjaro and Kenya measure 5,895m and 5,199m above sea level, respectively. He said that with Mt Rwenzori one has to cross snow that has broken, where one can drop and die and so one has to use all the technical equipment and skills to reach the summit. “So, Rwenzori is so much superior,” he says. 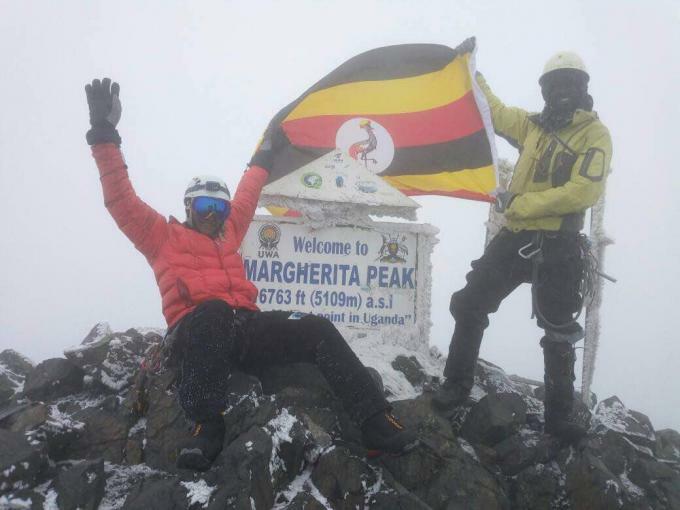 Tharumalingam, who has also climbed the world’s tallest mountain-Everest, said he was humbled by the value that people attach to Mt Rwenzori that is located in the naturally endowed western rift valley. The climber, who says he was approached by Uganda Tourism Board come to Uganda says the country can use the mountain and the mountain gorillas to attract foreign tourists. “These two are very unique features to Uganda,” he says. “If the tourism board continues with their work and keeps creating a lot of buzz around the world, Rwenzori will get to be known,” he said, adding that he would help promote the experience that Mt Rwenzori offers to climbers. “We are going to work with Uganda and promote this. The tourism board should use video clips and photos to reach out to people all over the world through their embassies. I think they are on the right track now,” he said. 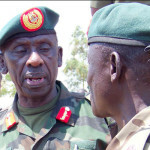 He said that if the government of Uganda allowed he would lay a ladder across the summit of Mountain Rwenzori and name it after himself and cement his legacy in Uganda. 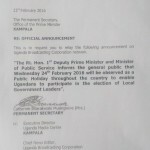 Tharumalingam has urged Ugandans to explore. “If you are a Ugandan and you have climbed Rwenzori, you still have many other peaks to go after in case you have finished all peaks in Uganda,” he said.